For a more remote adventure, the Mid-Canterbury region and the High Country has a lot to offer. 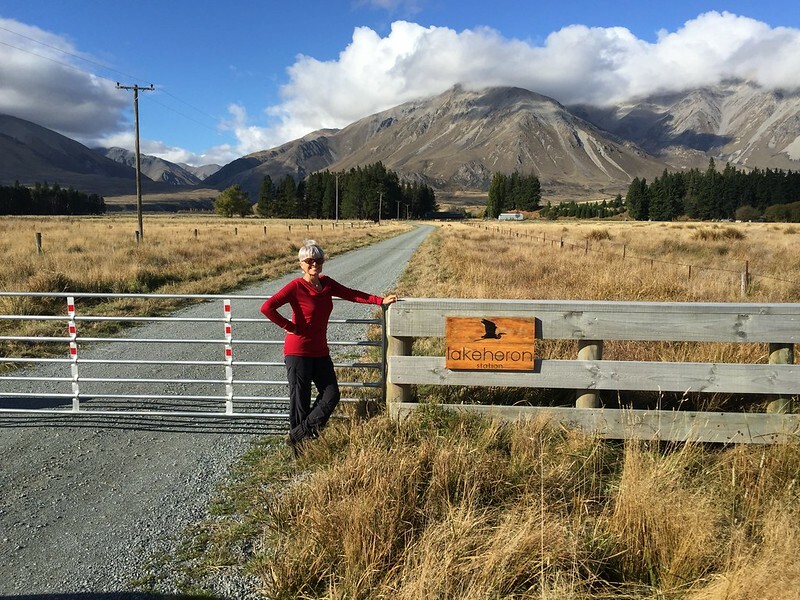 When you get onto the Methven-Rakaia Road, from north or south, you’ll quickly see why. There are some hidden treasures in this beautiful part of the South Island. These roads are less travelled by other motorists. So for a large amount of time, you’ll be the only car on the road! 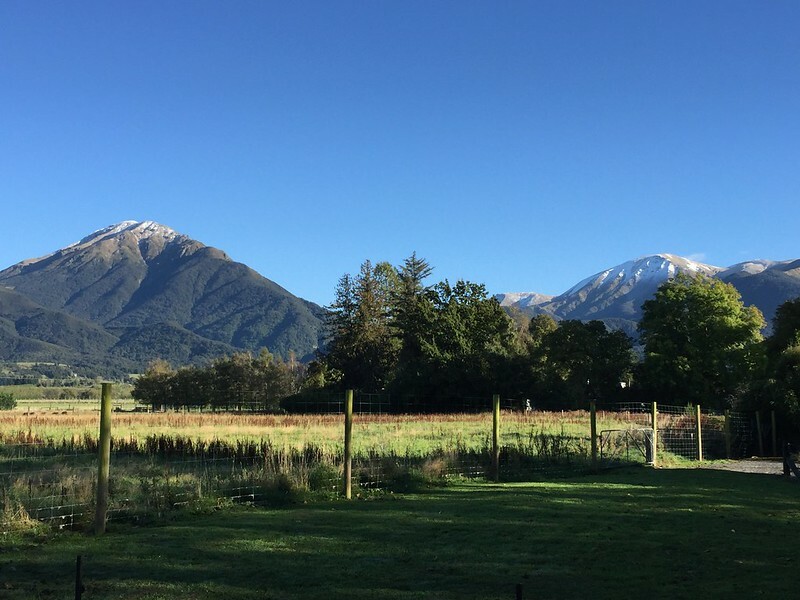 Just 24 kms out of Methven, a great skiing area, you’ll come to the lovely settlement of Staveley. And if you’re looking for a romantic stay, there is an absolute ‘gem’ of a property here. The Red Cottages at Staveley are located on a beautiful large property owned by locals Nigel & Myriam Birt. For us, it was like finding the pot of gold at the end of the rainbow. You can’t help but notice how generously the owners have planned the cottage. The copper edging around the cabinetry is such a stylish touch. There are so many little extras that will make your stay very special. Just look around and you will see cookies in the jar, a fridge laden with goodies, and a welcome platter. Just wait until you see the two baths with direct views to Mt Somers. Surely, after a long drive, there’s no better way to wind down than to sink into a hot bath. And these ‘lovelies’ are outside the cottage for a very good reason. The night sky in this area is breathtaking. So why not kick back with a wine and gaze at the diamonds twinkling up above you. You will find that romance is very much encouraged here. There are candles sitting in glass containers everywhere. They are just waiting to be lit by you. 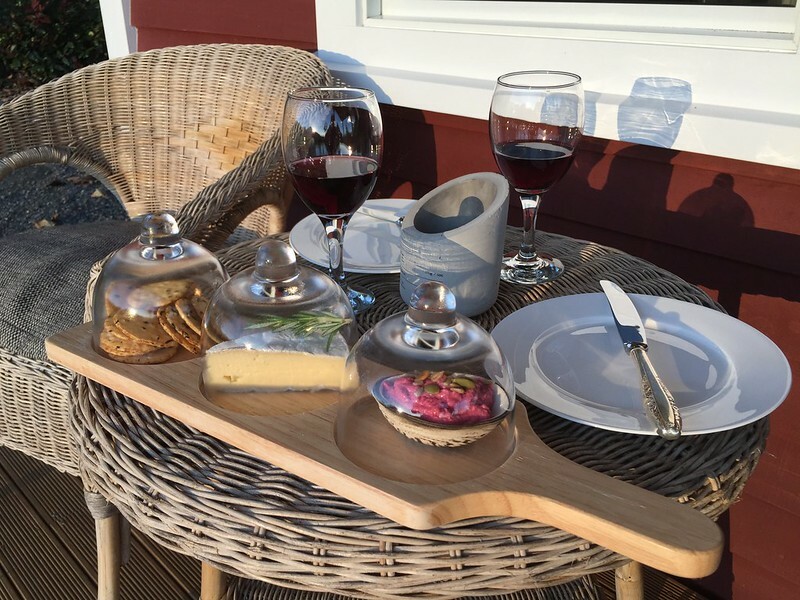 Perfect for honeymooners in New Zealand! There is so much more to this property than first meets the eye. You’ll very quickly understand why the owners have a 2-night stay policy. If you meander down a winding path from your cottage, you will discover another hidden secret. Beside tall and leafy trees there is an historic wool shed. This wool shed has been decorated with fairy lights and contains huge wood burners. The sheep stalls still remain and this really brings home the authentic edge. But the best thing is, you will actually get to have your very own movie night here. Just book in the time you want. The wood burners will be roaring away and the blankets laid out. All that you need to do is relax on the sofa and watch your favourite movie – just you and your partner. How cool is that! You might think of Mid-Canterbury and the High Country as being only about green pastures and mountains. But there is so much more. In fact, this part of Canterbury is a very famous hunting and fishing area It is worth mentioning here that the owners of the Red Cottages also act as fishing and hunting guides. They can arrange all your flights to and into the high country. 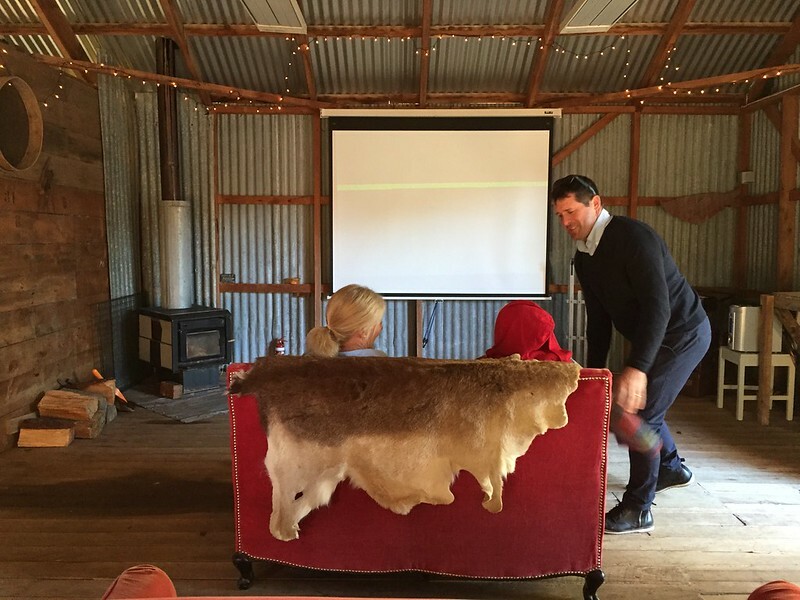 There are also a lot of high country farms specialising in Merino Sheep. If you have heard of the label “Icebreaker”, then chances are you could be wearing Merino wool from this very place. We travelled off-season. Also, best times to travel NZ. If you walk any of the forest tracks here, you could be mistaken into thinking you are in Fiordland. These forests are incredibly dense and lush with native bush. And the swing bridges are constructed well for ease of access. 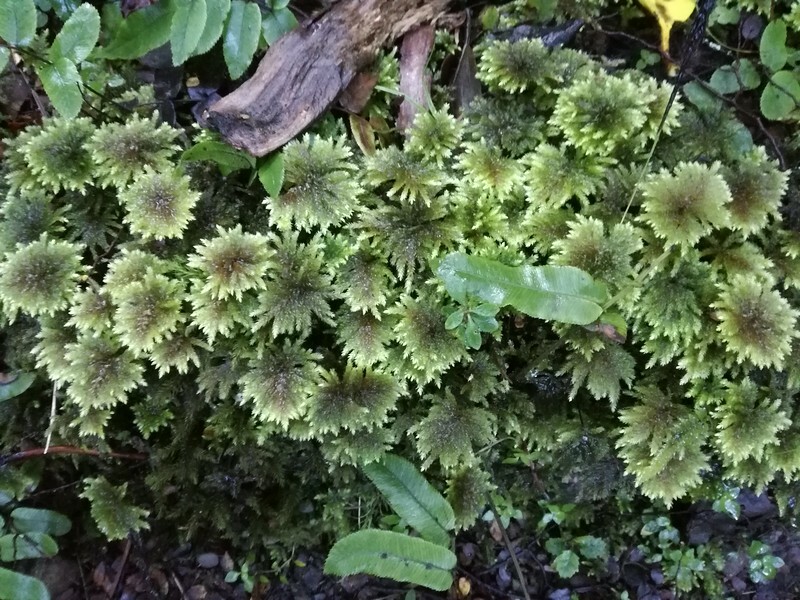 The Mt Somers Track and the Sharplin Falls Track, have the most beautiful ferns and moss varieties you will find anywhere in the country. 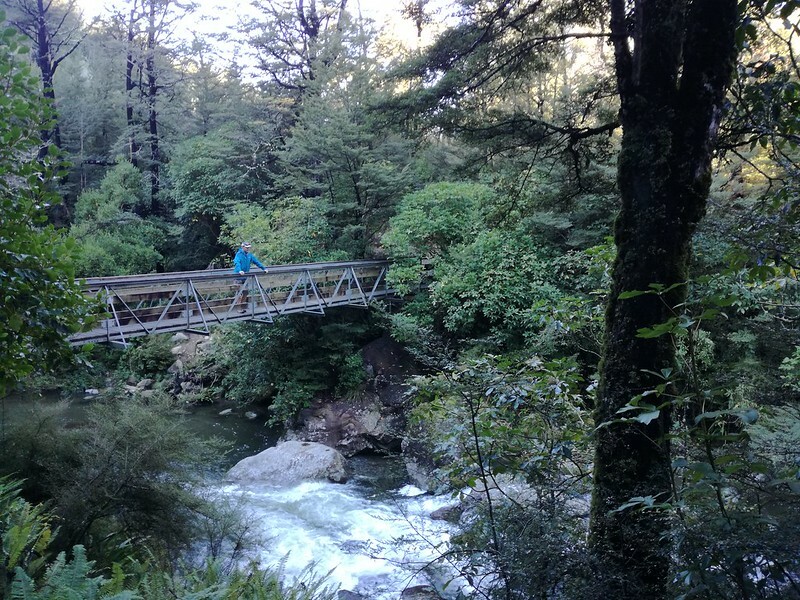 Of course it is definitely worth visiting the Awa Awa Rata Reserve at the bottom of Mt Hutt Forest. What you will find here, is an base for a number of walks. You can choose an easy 10 minute stroll past spring flowering rhododendrons. 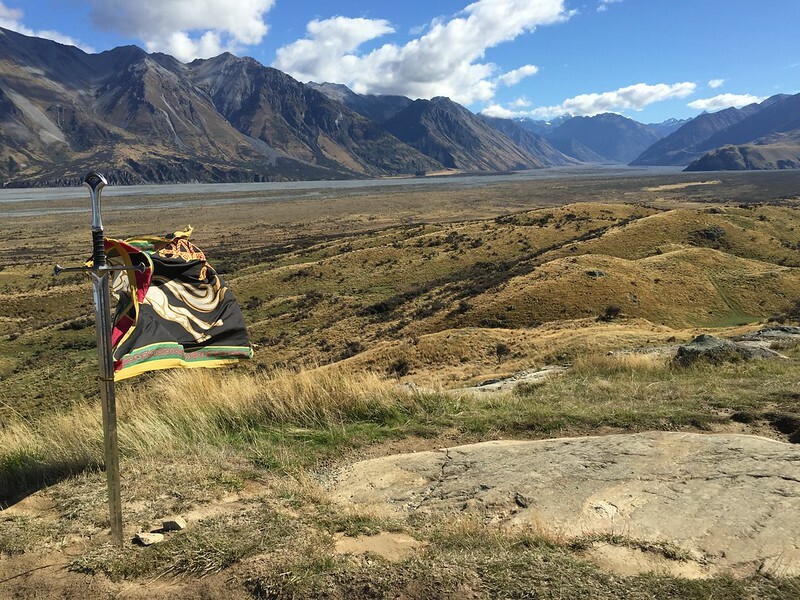 Or you might want to do a 4.5km tramp onto a mountain ridge – in fact, this one will give you great views of the Canterbury Plains. The Lord of the Rings locations were chosen for their wild remoteness and beautiful rugged grandeur. We loved it up here at Mt Sunday. It gives you the feeling of being the only people on the planet! To get access to these locations, you will be driving along gravel roads. So its probably best to have a 4-wheel drive. 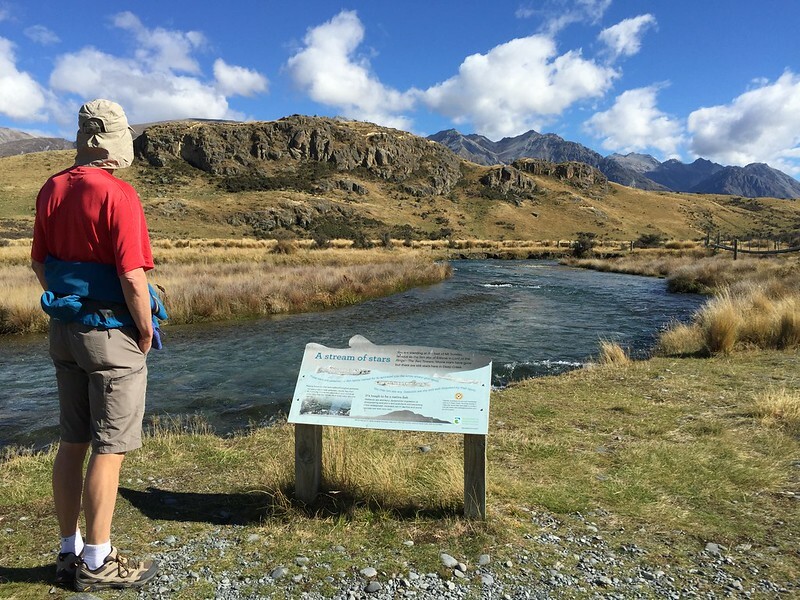 There is a carpark at the beginning of the walk into Mt Sunday and Edoras. You will first walk through paddocks then across a bridge to where the actual climb up to Mt Sunday begins. Bear in mind that it is a reasonably steep climb. Don’t stress, the track is very well signposted – just keep an eye out for the orange posts. I guess you need to be moderately fit, but the climb won’t take you very long. Once you get to the very top, I guarantee it will be so worth it. And yes the flag you see in the LOTR films is still there! As you pass through Methven, to get to Staveley, you are bound to come across the Dubliner Restaurant. We have had tremendous feedback about this pub restaurant and their night meals. There are quite a few pubs now in New Zealand that do serve up quality and tasty food – in fact, they have become quite sophisticated. We have found that these pubs can be the ideal place to get the local vibe. And if its the local vibe you are really after, there is no better better place to find it, then the Staveley Cafe. From the outside it looks fairly unassuming – just another ‘tearoom’. It definitely is not! The food here is homemade and very good. 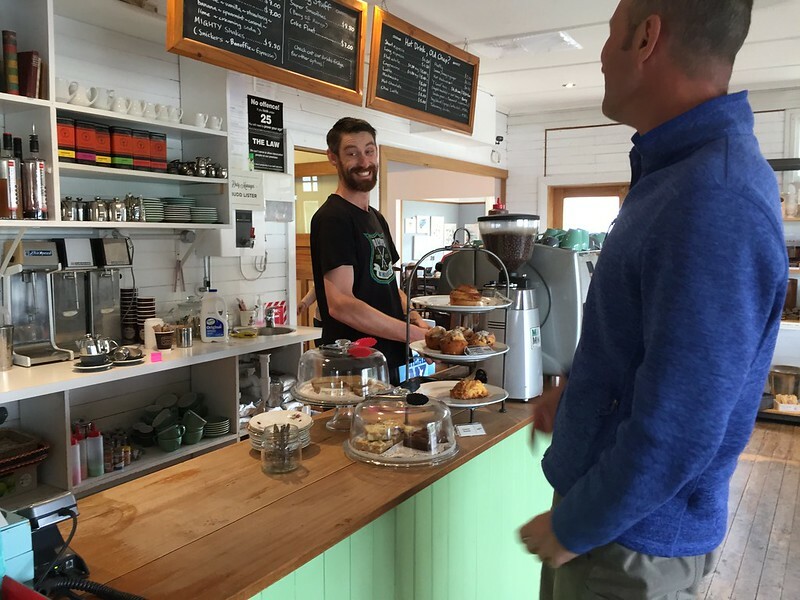 It is a sure sign of a great cafe, when the locals all go there. On the day we stopped for lunch, the place quickly filled up. Farmers, farmworkers – you name them – the locals were all here. The staff know everyone by name and it is very clear that they enjoy what they do. The locals feel the love and you will too. This part of the Canterbury region is far less travelled by the mainstream tourists who prefer larger centres with a busy vibe. 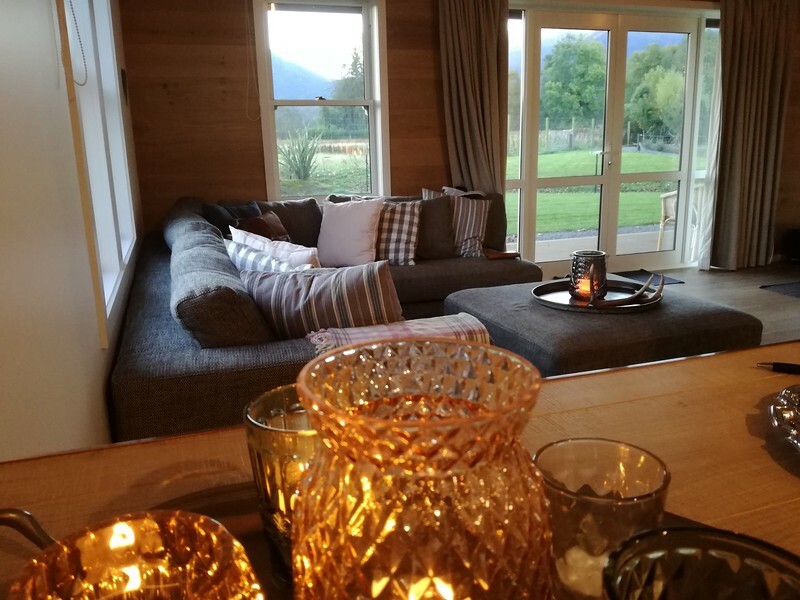 Mid Canterbury and the high country specialise more in the boutique experience. It is an absolute paradise for hunters, those who love to fish and couples who just want to chill. What you will get here, is an overwhelming sense of freedom. For a number of sample South Island travel itineraries check out options here. Happy travelling the Mid Canterbury region!